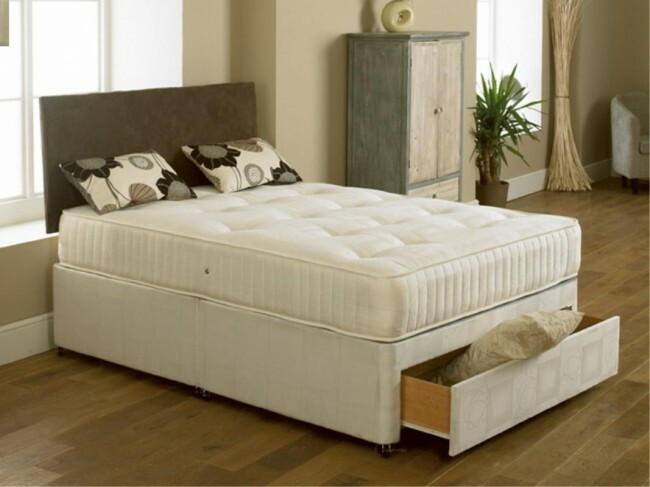 The Elite Cream 6ft Super King Size Zip & Link Orthopaedic Divan Bed is a luxuriously comfortable bed. It is a deep hand tufted upholstered bed with multiple layers of hypo- allergenic orthopaedic fillings. It is upholstered in Luxury Portuguese Damask finished fabric. The Elite is available with a Platform top Base for firmer support or a Sprung Base for a softer more luxurious feel. The divan base is made from solid timber to provide a comfortable, sturdy, sleeping platform. The divan base comes with easy glide castors. Base comes in 2 sections with castors and attachments for the headboard.